In today’s high-pressure, fast-paced environment, we see simulation as an essential part of any project. Not only does it eliminate risk, it also reduces precious set-up time on site. 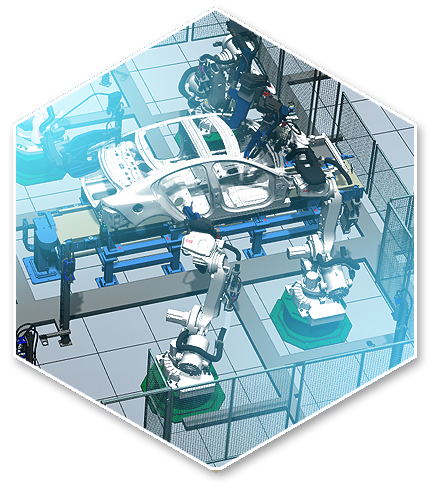 The Automated Technology Group boasts a dedicated team of simulation engineers with rich and varied applications experience. Once the software for your programme has been written, we create a virtual model to show you exactly how our solution will work, using programs such as Robcad, Siemens NX and WinMod. This is something that distinguishes us from or competitors, and gives our clients ultimate peace of mind before having a solution installed – or whenever they want to add something to an existing system. We find that including simulation as a key part of our project process reduces installation time by up to 75% – meaning you can get back to business straightaway.